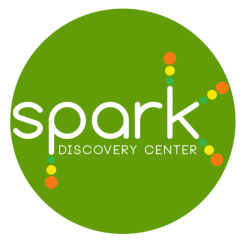 The SPARK KIDS PROGRAM™ is driven by 3 objectives Ignite, Explore and Pursue, and is the underlying dynamic approach to all teaching and learning, engaging and problem solving, imagining and innovating. The Program carefully selects experiences that ignite children’s imaginations, supplemented by guided opportunities to explore and pursue their interests and curiosities. It is a program where children’s curiosity meets learning and their thoughtful expressions and creations are shared and celebrated with the community. Ignite is the first level of the SPARK KIDS PROGRAM™. Its primary objective is to provide the necessary environment for very young children to ignite the sparks in their minds. Daily 2-hour sessions of guided play are designed to stimulate the children’s senses, develop their motor skills and give them ample time to grow in wonder, while tapping into their curiosities and discoveries. Explore focuses on child-directed work and play. Extended time is provided to our young learners where they investigate an initial interest, and in turn develop sustained attention and expressive skills through language, music, and the arts. Teachers support the children by facilitating meaningful interactions with peers so they learn from one another and feel safe to explore the ideas of others. Pursue emanates from Ignite and Explore. The objective here is for children to naturally proceed to a level of focus towards a strong interest they discover in their explorations and play. Even longer periods of time are devoted to posing questions, planning, thinking, designing, and communicating their ideas, while collaborating with peers and adults in the community. Emerging skills in literacy, numeracy and the arts are applied with the use of developmentally appropriate resources and a wide range of opportunities for children to be engaged and feel confident. This prepares every child to go beyond Spark and bring their shining attitude and love of learning wherever they go.